All the consultations and treatments are carried out by Jackie. Jackie is a highly skilled Registered General Nurse who in 2009 obtained a Post Graduate Diploma in Aesthetic Medicine from Greenwich University in London. Previous experience includes 10 year working in the Cosmetic field along side some of the most renowned plastic surgeons in their field where she obtained a Diploma in Plastics Acute Care. 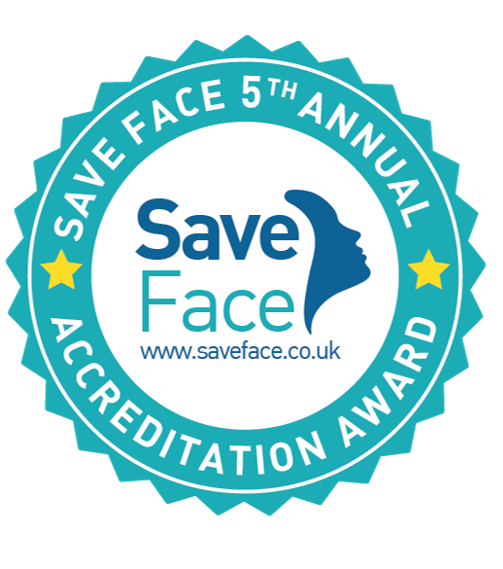 Jackie has been working as an Aesthetic Practitioner since 2006 and continues to update her skills and training by attending advanced training courses and seminars to ensure her skills and expertise are continuously developing. The clinic is discreet, friendly but clinical and comfortable. Treatments will be carried out after consultation and confirmation that the proposed treatment will be of benefit to you. If we can’t help you to achieve your goals, Jackie with her previous experience can refer you to an appropriate specialist in the cosmetic field. Jackie is fantastic. I was pretty nervous and unsure about having Botox as I don’t like the “frozen” look but Jackie ensured that the results were natural yet still amazing! People have been saying I look like I’ve had a good nights sleep for a couple of weeks now! Jackie was very warm, personable, caring and professional and she made me feel comfortable . I was very happy with the results and I will definitely use her again !!! l was very relaxed and comfortable during my visit. Highly rate the experienced treatment and overall result. I was given good advice and would definitely visit again. I found Jackie & Liebe Aesthetics as I was looking for a few dermaroller treatments to help with scarring caused by Acne in my teens. I initially booked in for x2 treatments, but after the success of the first treatment this became a total of x7. Jackie’s temperament, expertise and manner made an awkward and quite painful treatment a real breeze. Even after the first one I could really see the benefits, which is why I booked more. I can’t recommend Jackie enough. She is knowledgable, personable and caring; exactly what you want if you new to these type of treatments. The after effects has exceeded my expectations and I am so grateful to find somewhere so close to me in Sutton Coldfield. Jackie is a true expert practising her craft and I can’t recommend her enough. Jackie is a pleasure to work with I wouldn’t trust anyone else to look after my face!! Just wanted to send a feedback on my first visit to Botox and filler and just wanted to congratulate Jackie on her service and after care and I will be seeing her again in the new year. I would and have already recommended her service. I have been a customer of Jackie for over 5 years and have been having fillers and Botox. I cannot emphasise enough what fantastic results it has had on my appearance and confidence. Being close to 60 my face has lost a lot of volume and the filler has given me a much improved look which is subtle and natural. Jackie is always professional, her knowledge, skill and honesty and pain free treatments will always bring me back to her. The results also I have found long lasting for the fillers around 18 months between treatments. Thanks Jackie from a very satisfied client. When I had my first dermal filler injection I was very anxious about having a needle in my face, with Jackie all my fears had disappeared. She really put me at ease and I felt totally safe in her hands. The results were fantastic. My face looked so natural and healthy after cheek enhancement it really boosted my self confidence. She really understood what I wanted to achieve and surpassed my expectations. I have been coming to Jackie at Liebe Aesthetics for four years now and am very happy with my treatments. Jackie is professional, honest and I have complete trust in her. She has managed to maintain a natural look which I love. The clinic is beautiful, discreet, and very comfortable. I like the fact that I get the best available products and special offer rewards for loyalty. Made to feel very comfortable. Jackie’s experience and advice was superb and extremely professional. Quality products stocked which are difficult to find in Birmingham area. Liebe Aesthetics are a secret that everyone should know about. I wholeheartedly trust in their services, products, advice and discretion. Why not invest in you? You really do deserve it! I know I do. I have been going to see Jackie for over a year now to try to improve my skin texture, she has given me lots advice on the different treatments available. I like the fact that she lets you make your own decisions and doesn’t push you into buying any treatments or products, I am also pleased with the results and service she has given me. I have been coming to Liebe Aesthetics for a couple of years now and can’t fault the service and also the quality of treatment I receive. 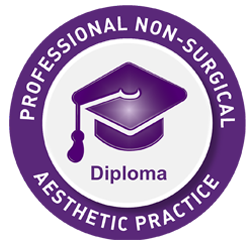 I would thoroughly recommend Liebe Aesthetics to anyone who wants a procedure that shows fantastic results delivered in a professional environment. Jackie uses her expertise to provide a thorough and informative consultation prior to any treatment. I would highly recommend Jackie as she delivers a quality product in a professional clinic. I always find Jackie extremely helpful and knowledgeable. She’s gentle, kind and expert at what she does. She specialises in making people look fresh, and the best they can be, rather than ‘stretched’ and unnatural. I love her work!